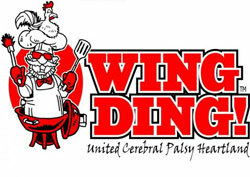 St. Louis Wing Ding 2012 is Coming! Local restaurants will compete to see who has the “best chicken wings” in St. Louis at the 2nd Annual Wing Ding St. Louis. This year’s event will be from 6:00 pm until 9:00 pm, August 23, at Queeny Park (Greensfelder Arena)!